From Erik the Red, who founded Greenland’s first Norse settlement, to Cnut the Great, who ruled a vast empire in northern Europe, find out about six fascinating figures of the Viking Age. This Viking leader, whose origins were either Danish or Norwegian, began conducting raids on France in the ninth century. In 911, under the Treaty of St. Claire-sur-Epte, Charles the Simple, king of the West Franks, gave Rollo part of the area now called Normandy (for Northman’s land) in an effort to have him protect it from other Viking raiders. Rollo later expanded his control of the region, and around the time he died, in about 928, was succeeded by his son, William Longsword. In 1066, another one of Rollo’s descendants, William, duke of Normandy, led a successful invasion of England. William the Conqueror, as he became known, went on to serve as king of England until 1087. 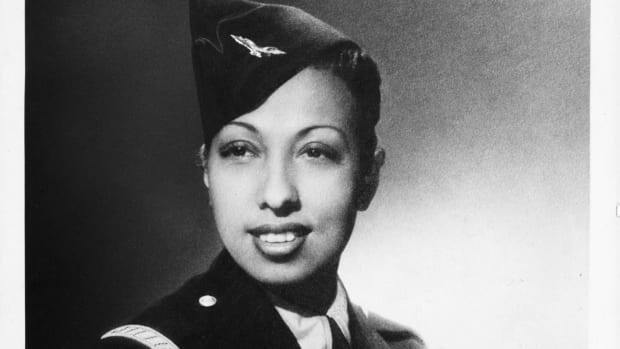 More than a thousand years after Rollo’s death, Allied troops during World War II landed on the beaches of Normandy on June 6, 1944, beginning the liberation of Western Europe from Nazi Germany’s control. Born Erik Thorvaldsson in Norway, Erik the Red earned his nickname for his red hair and possibly his hot temper. 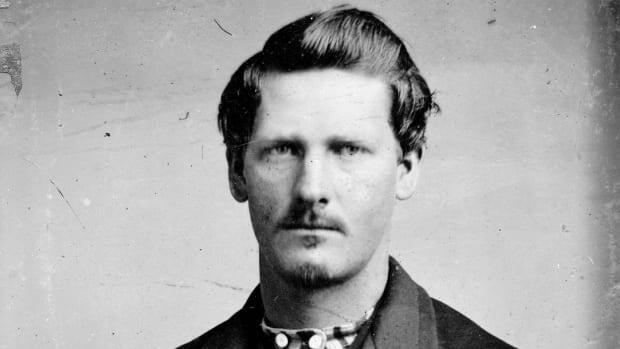 After Erik’s father was banished from Norway for killing someone, he fled with his family to Iceland. There, Erik himself was accused of manslaughter, leading to his exile from Iceland around 982. After leaving home, he sailed west to a vast, uncharted island he eventually dubbed Greenland in an effort to entice future settlers. Several years later, Erik returned to Iceland and organized a fleet of 25 ships that carried colonists back to Greenland (only 14 vessels survived the journey), where they founded two main settlements in 986. At its peak, the Greenland colony had an estimated 5,000 residents. Following Erik’s death Greenland’s Norse communities continued on before being abandoned in the 14th and 15th century. Exactly why the Norse Greenlanders disappeared is a mystery, although a combination of factors might’ve played a role, including a cooling climate and declining trade opportunities. 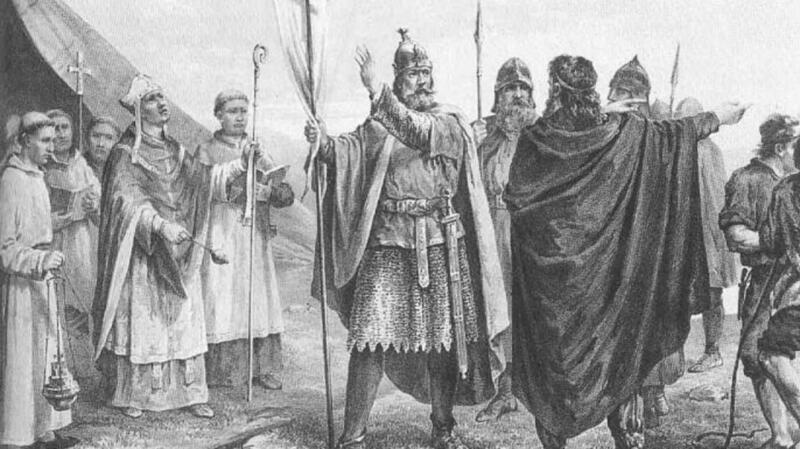 A grandson of Harald Fairhair, the first king to unite Norway, Olaf was born around 968 and is thought to have been raised in Russia following the death of his father. 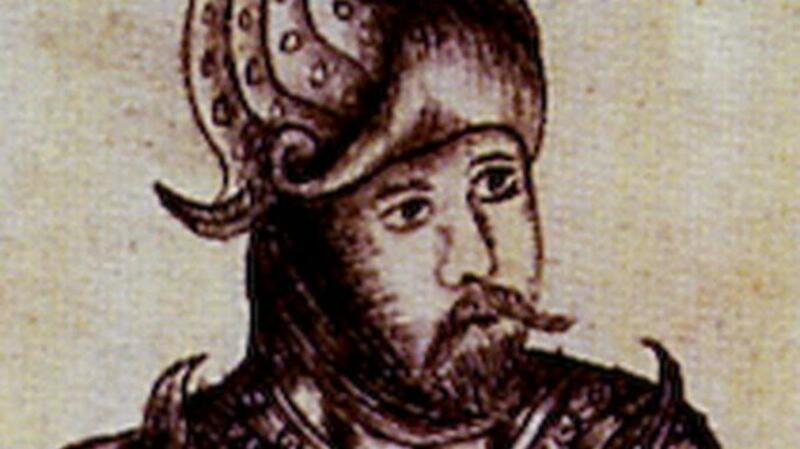 In 991, Olaf led a Viking invasion of England, which resulted in a victory at the Battle of Maldon. Afterward, the English paid off the Vikings in an effort to prevent future attacks, at least temporarily. This type of payment became known as Danegeld. In 994, Olaf and his ally Svein Forkbeard, king of Denmark, launched another raid on England and netted themselves more Danegeld. The following year, Olaf used his loot to invade Norway and was made king after its ruler, Hakon the Great, was murdered. As king, Olaf forced his subjects to convert to Christianity; before that, most Scandinavians were pagans who worshipped a number of gods. Olaf’s actions earned him enemies, among them his onetime ally Svein Forkbeard, who wanted to restore Danish rule in Norway, and Erik of Hladir, son of Hakon. 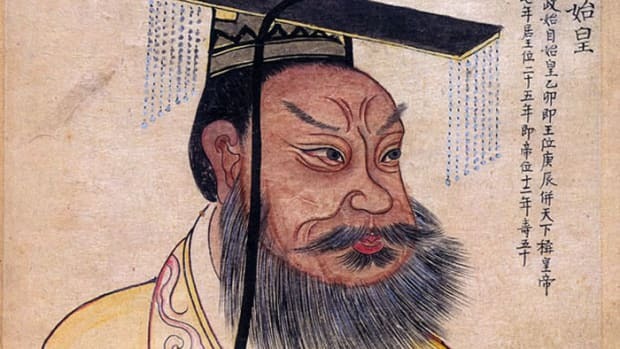 In 1000, Olaf was ambushed by his rivals in a battle at sea; however, instead of surrendering, he supposedly jumped over the side of his ship, never to be seen again. Generally considered the first European to set foot on the North American continent, Leif got there nearly 500 years before Christopher Columbus. 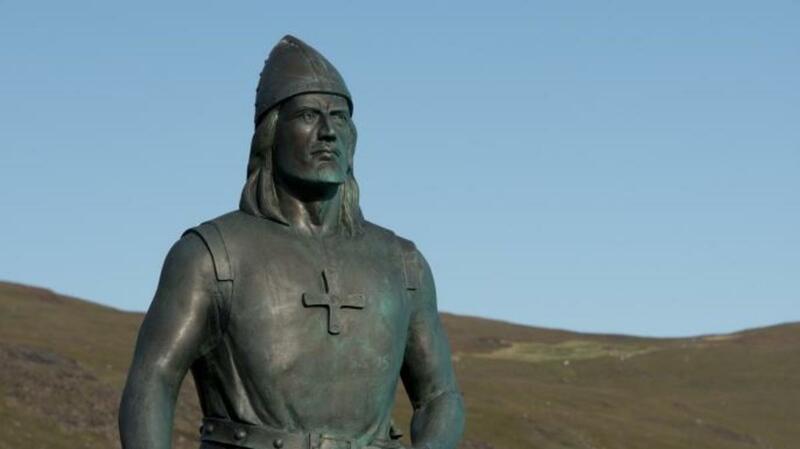 Believed to have been born in Iceland around 970, Leif later moved to Greenland, where his father, Erik the Red, founded the first Norse settlement. Around 1000, Leif sailed off in search of territory that had been spotted years earlier by an Icelander named Bjarni Herjolfsson when his vessel blew off course on the way to Greenland. During his expedition, Leif reached an area he called Helluland (“flat stone land”), which historians think could be Baffin Island, before traveling south to a place he dubbed Markland (“forestland”), thought to be Labrador. The Vikings then set up camp at a location that possibly was Newfoundland and explored the surrounding region, which Leif named Vinland (“wineland”) because grapes or berries supposedly were discovered there. After Leif returned to Greenland with valuable timber cargo, other Norsemen decided to journey to Vinland (Leif never went back). However, the Viking presence in North America was short-lived, possibly due in part to clashes with hostile natives. The only authenticated Norse settlement in North America was discovered in the early 1960s on the northern tip of Newfoundland at a site called L’Anse aux Meadows; artifacts found there date to around 1000. 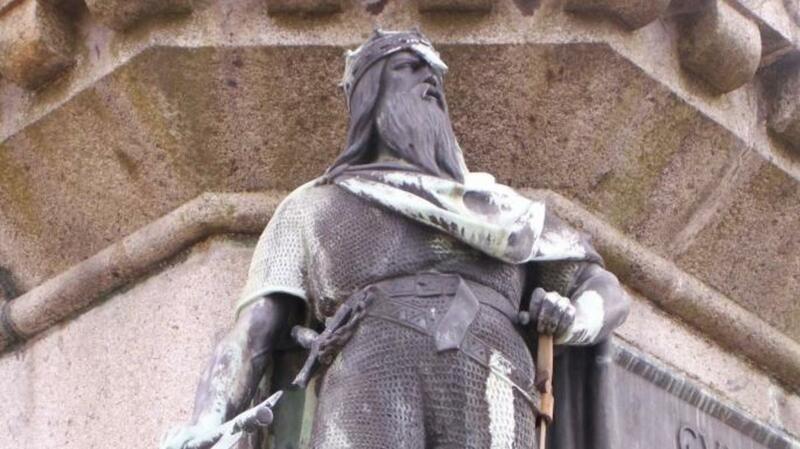 The son of Denmark’s King Svein Forkbeard, Cnut (or Canute) helped his father conquer England in 1013. However, when Svein died the next year, the exiled Anglo-Saxon king, Aethelred the Unready, returned to power. Aethelred passed away in 1016 and was succeeded by his son, Edmund Ironside. Later that year, after Cnut defeated him at the Battle of Ashingdon, Edmund signed a treaty that gave Cnut power over part of England. Just a few weeks later, though, Edmund died and all of England came under Cnut’s rule; his reign there brought stability after years of raids and battles. Denmark, Norway and possibly portions of Sweden also eventually came under Cnut’s control, forming a vast empire. 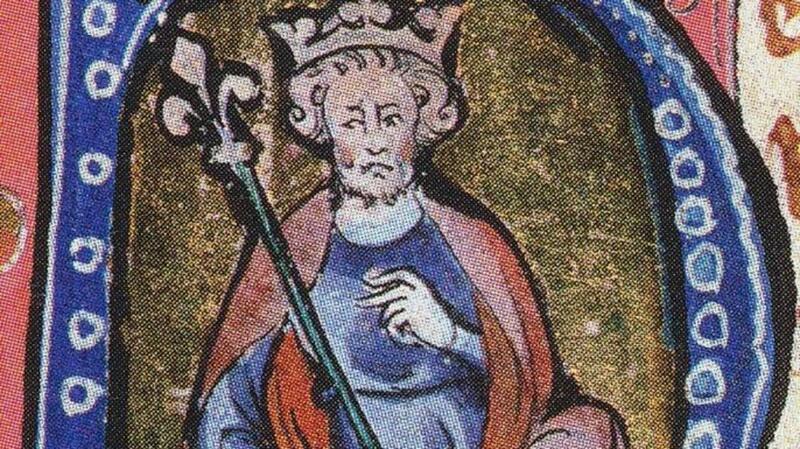 When he died in 1035, his son Harold Harefoot became king of England, serving until his death in 1040. Harthacnut, Cnut’s other son (from his marriage to Aethelred’s widow) then ascended to the throne, but his death in 1042 marked the end of Danish rule in England. 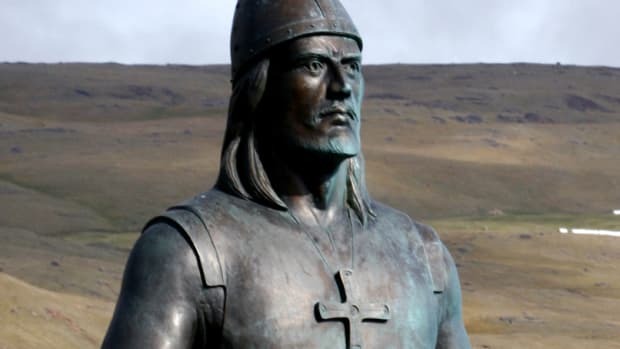 Born Harald Sigurdsson in Norway in 1015, he fought as a teen at the Battle of Stiklestad, waged in 1030 by his half-brother Olaf Haraldsson, the exiled king of Norway, in an attempt to return to power. Instead, Olaf’s forces were defeated, he was killed and Harald went into exile, eventually doing a stint as a mercenary for Jaroslav the Wise, grand prince of Kiev. Harald then traveled to Constantinople and joined the Byzantine emperor’s prestigious Varangian Guard. 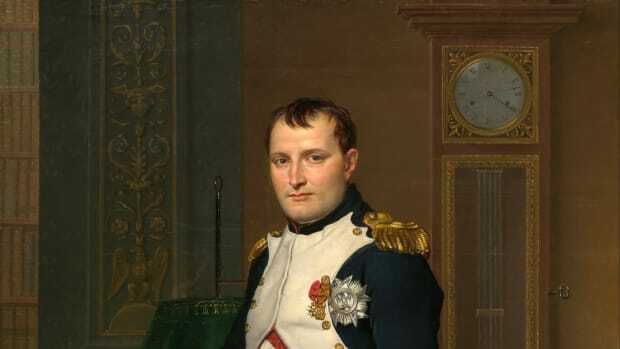 After becoming a wealthy, accomplished military commander, he returned to Scandinavia by the mid-1040s. There, he formed an alliance with Svein Estrithson, a claimant to the Danish throne, in an effort to combat King Magnus the Good, who ruled Norway and Denmark. However, Harald ditched the partnership with Svein in 1046 when Magnus decided to make him a co-ruler of Norway. After Magnus died the next year, Harald gained full control of the Norwegian throne while Svein became king of Denmark. 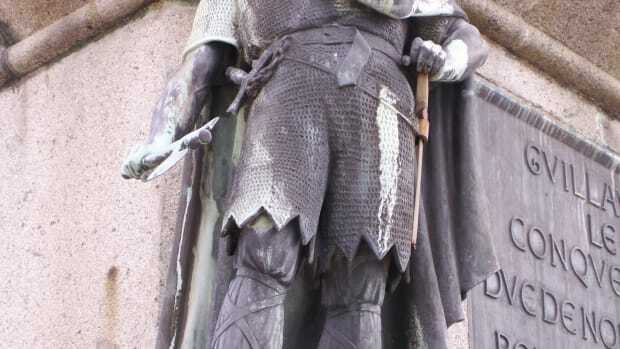 Harald went on to fight Svein for years, but despite winning the majority of the battles Harald (whose nickname Hardrada translates as hard ruler) opted to make peace with his adversary in 1064 and give up his claims to Denmark. Harald then shifted his focus to England, invading it two years later with a large force and scoring a victory at the Battle of Fulford Gate. 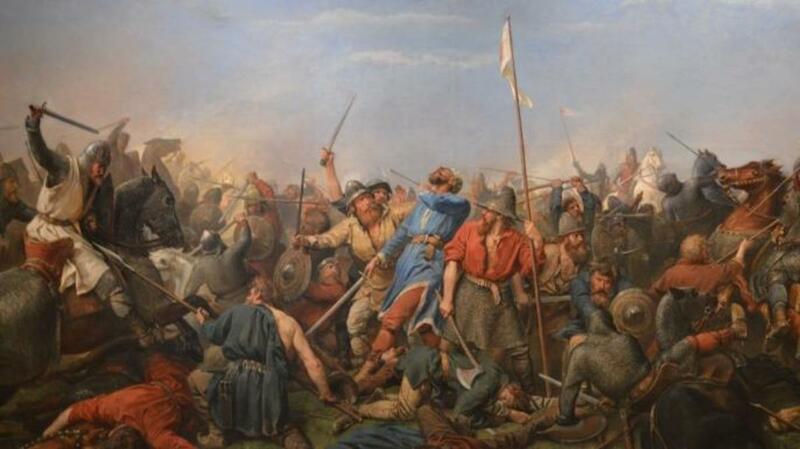 However, just days later, England’s new king, Harold Godwinson, wiped out Harald’s army at the Battle of Stamford Bridge, during which Harald—later referred to as the last of the great Viking warrior kings–was killed. Less than a month after that, Norman invaders led by William the Conqueror defeated the English at the Battle of Hastings, during which Harold Godwinson was killed.